Jean-Aime Bigirimana, a.k.a. JaBig, is a Montreal DJ who has traded in his turntables for two wheels and has set out on an epic journey in pursuit of a world record. A Montreal DJ who has traded in his turntables for two wheels has set out on an epic journey in pursuit of a world record. Jean-Aime Bigirimana, a.k.a. 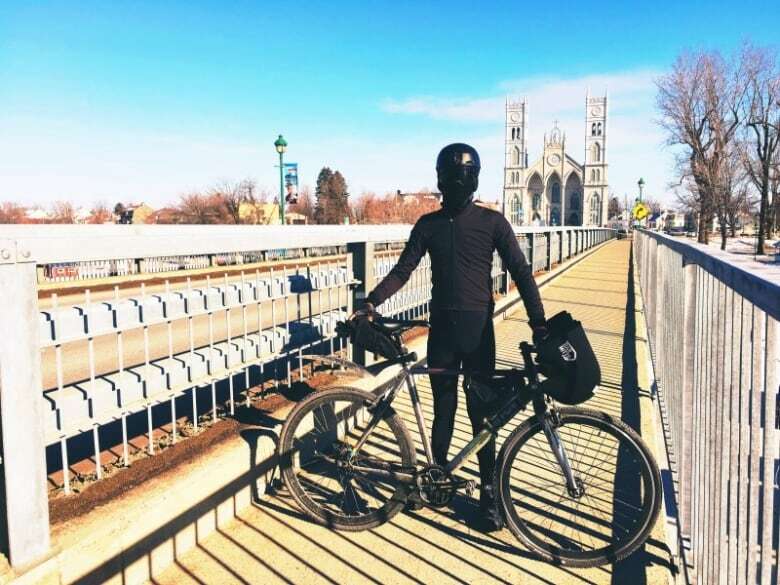 DJ JaBig, has a goal to complete the longest journey by bicycle within the same country, and that brought him to a special place this week: Saskatoon. 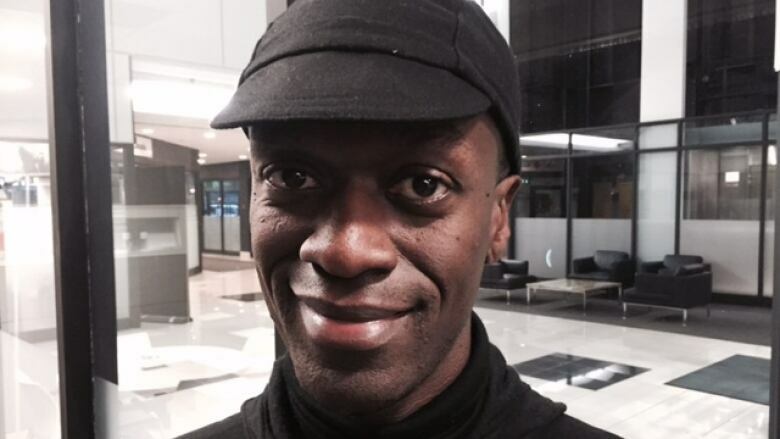 "When I first moved to Canada in December 2002, my family actually moved to Saskatoon," he told CBC Radio's Saskatoon Morning. Born in Rwanda, then raised in Kenya and South Africa, Bigirimana said his first day in Canada was an eye-opener. "I really thought someone took a bucket of cold water and threw it at me. I froze and I backtracked and I said, 'I think I'm going to need another jacket.'" But what he and his family found here was the warm hearts of a local church that helped them acclimatize not only to the cold weather but to all aspects of life in Canada. Bigirimana spent a short time in the city before relocating to Montreal. His family has since joined him in Quebec. Still, 37-year-old Bigirimana never really got used to that Canadian cold. It is his aversion to winter that motivated this bike tour. "I was sick and tired of running away all winter or staying indoors," he said. Bigirimana is riding his bike from east to west, with a plan to head north from Vancouver all the way to Tuktoyaktuk, N.W.T., and perhaps find himself along the way. He started the journey last January and has endured much of that Canadian cold along the way. "I'm going to earn the right to complain about winter," he said. Bigirimana will heat up Ground Yoga in Saskatoon tonight when he fires up the turntables for a couple of hours of playful and dynamic yoga and music.